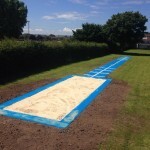 If you are looking for specialists to carry out long jump runway services at your organisation, we are here to help. Whether you need a completely new facility built or repairs to an existing one, our team will carry out the work to a high standard. Specifications vary for every project but we’ll always do our best to make it affordable for the client. These athletic facilities have never been more popular with schools and colleges than they are now. 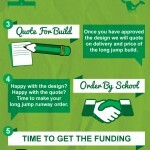 They are relatively easy to construct and can fit to suit most budgets. 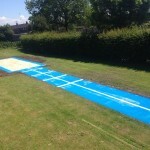 We have completed lots of these projects for school sports areas, colleges and sports clubs. Feel free to get in touch with us through the contact form to find out more about what we can do for you. What is a Long Jump Runway? 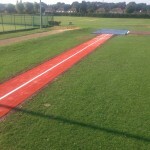 A long jump runway is a popular athletics facility comprising of a run up track and sand pit. These can be built using a number of long jump surfacing designs including polymeric rubber and Multisport synthetic grass. For professional standard tracks we would recommend the rubber material as it is better suited for the highest standards of long jumping. 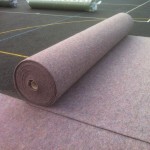 The synthetic turf option is better suited to recreational run ups at schools as offers a softer surface and is more durable for use in practise sessions. The benefits of the surfaces is that they are pretty much maintenance free once installed, and they can be used for a range of activities to help kids develop their skills. The process of maintenance should include sweeping dirt and debris away to prevent contaminants from getting stuck within the pores and covering up the areas to keep it clean and safe. 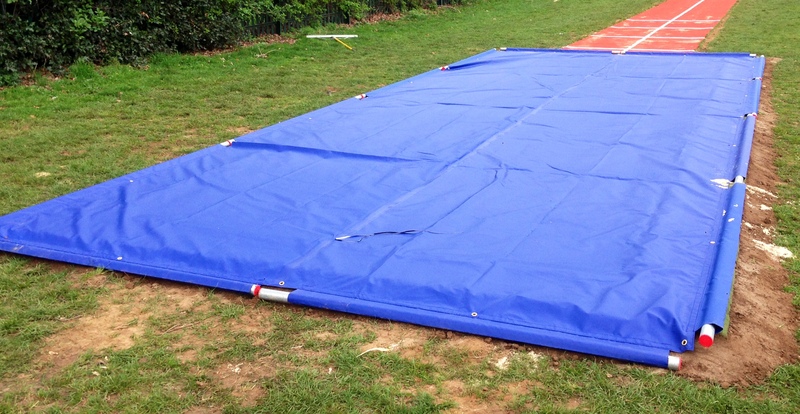 We can supply a long jump sand pit cover for your landing area which consists of plastic sheeting with metal poles around each side to keep it in place. We are able to install these facilities to fit many designs and area sizes throughout the UK. 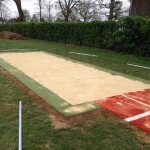 The long jump pit construction work will depend on your chosen surface type, dimensions and your location but we’ll all this into consideration beforehand. 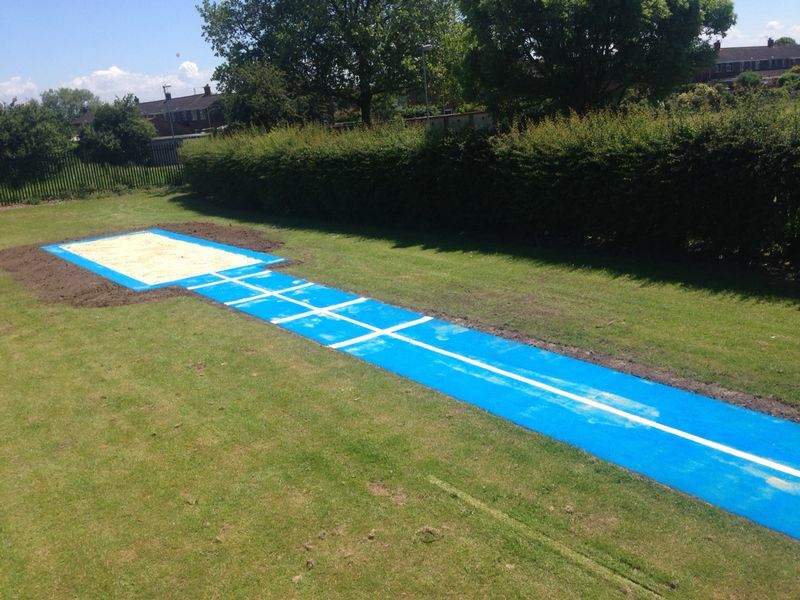 The installation of a single long jump runway or a 3 lane run up typically includes an engineered sub base with a coloured polymeric surface which can have removable take off boards built in. 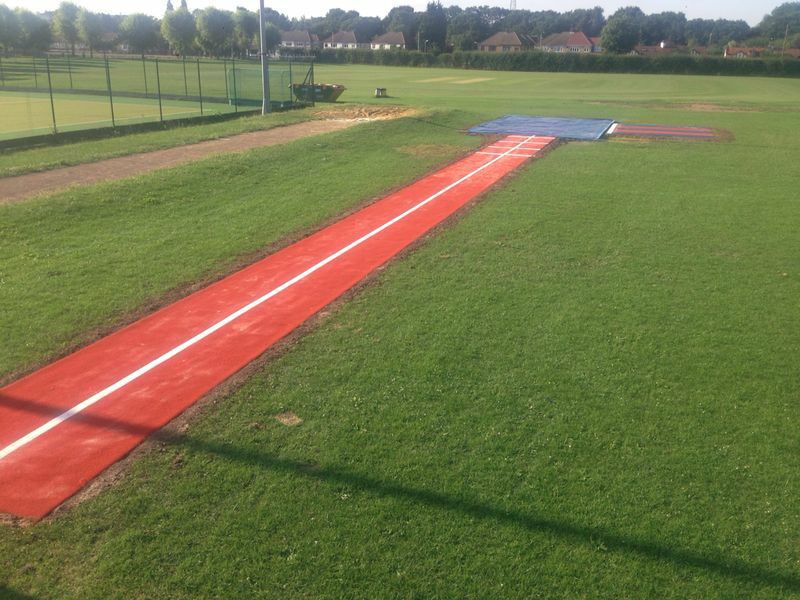 An alternative to the polymeric rubber surfacing is the needlepunch synthetic turf specification which can be installed in a range of bright colours for your long or triple jump surface. The landing surface has got to be filled with washed and rounded sand and to be filled within a retaining edge. The installation of any of these facilities needs to be carried out by a specialist contractor to make sure the levels and drainage all meet the required accreditations. 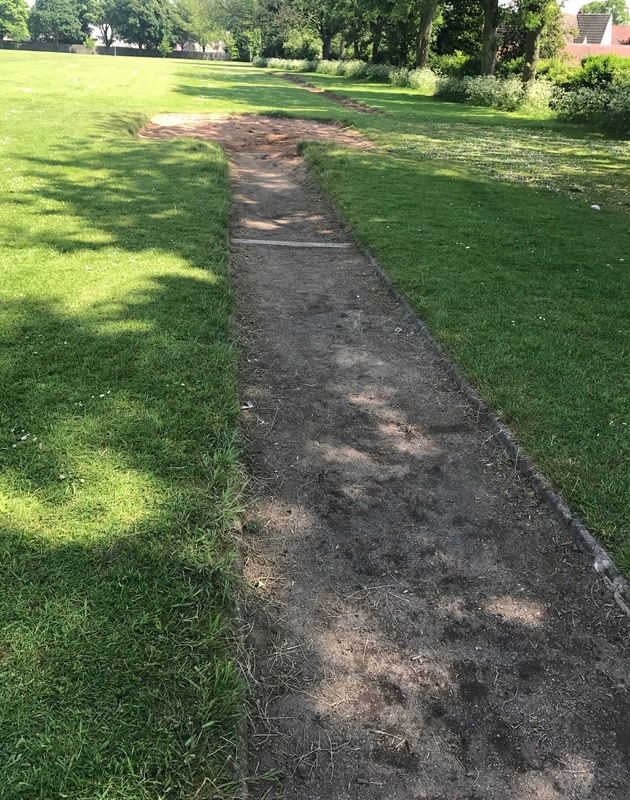 On behalf of Pontefract Athletics Club, I am writing to thank you for doing an excellent job with the Long Jump Runway at the Kings School, Pontefract. You arrived on time, did an excellent job and finished on time, so I am delighted with the outcome. If you would like to find out more about similar projects involving athletics facilities, please feel free to contact our team today. We’d be happy to discuss costs and provide a quote for any work you are looking to have done. We ensure that companies get the most out of their money and help to hold them inside their budget. The size of the facility makes a massive variation to the general expenses of the work as the volume of materials needed will be impacted. For all those within a strict budget wanting a recreational facility, can lower expenses by lessening the dimensions of the facility. 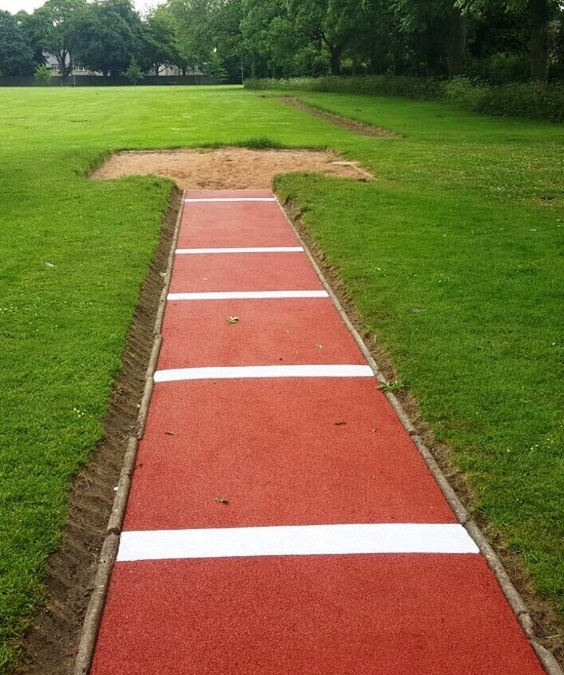 You might also want to look into long jump facility funding if you need some help with finding the budget to install one of these facilities. 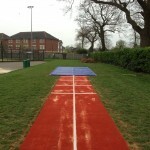 The more common surfacing kind for athletics long jump sport facilities is polymeric rubber crumb. This surface is made up from plenty of EPDM rubberized granules that are bound together. This is the perfect surface kind for these sports as it supplies steadiness as well as a great playing surface. Nevertheless we do offer you a more affordable alternative called needlepunch artificial carpeting. This surface type is ideal for schools that are not using these sporting facilities competitively, or perhaps if young children will be making use of them. 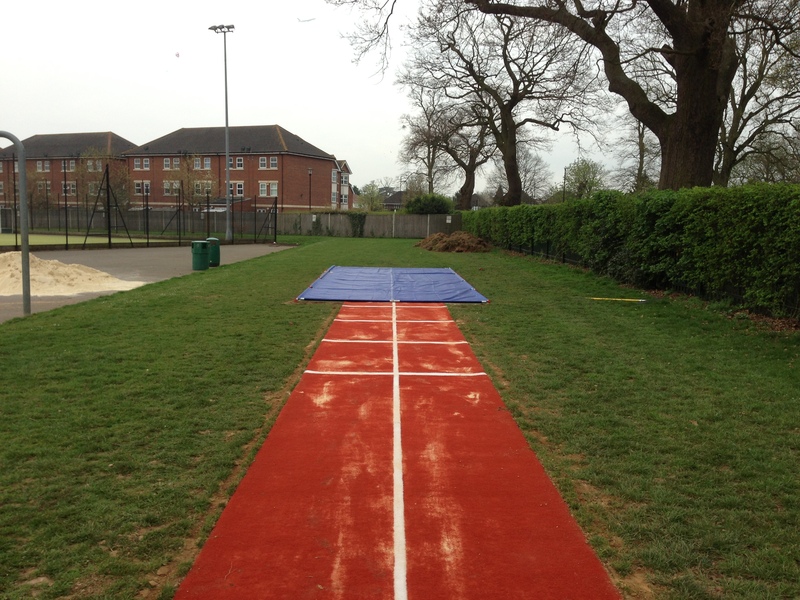 The reason that a lot of schools and higher education centres have asked for a single and multi lane long jump runway, is because they are a great way to stay fit and healthy, improve fitness levels and have fun! More people enjoy this activity because it seems more exciting than running. It is very important for kids to increase their health and physical fitness levels, this can be done quickly using the assembly of sports facilities. 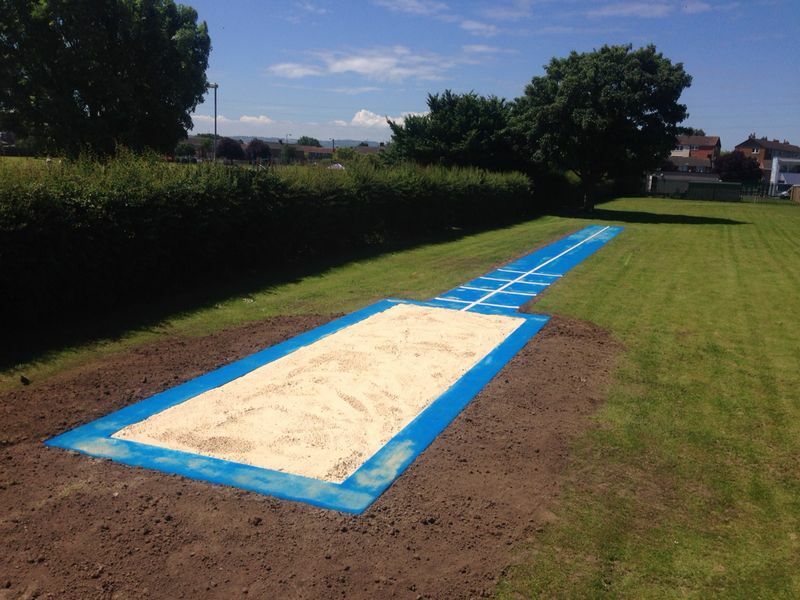 We provide a wide range of numerous services that will aid to find the ideal long jump landing pit facility for your needs. A number of sports clubs in addition to academic institutions have started to get more cost effective runway facilities fitted for sports. A lot of young people don’t get the chance to participate in athletics simply because academic institutions find it hard to have quality sports facilities installed. 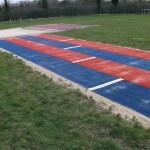 Quite often, educational institutions can’t afford to renew their running track surface or they have not got adequate space for the construction. In numerous establishments, compact facilities are being created and fitted in a smaller size to suit constrained spending budgets as well as to become more affordable. They’re also designed to produce the FUNdamental sporting movement skills of running, jumping and throwing. Young people will probably be introduced to a number of activities, assisting to raise the quantity of kids taking part by using compact athletics facilities. A few of the widely chosen features include things like shuttle running tracks, discus areas and jogging tracks. To produce a multi-use athletics area, a basic 60m track could also be used for running, baton races as well as hurdles to help make the most out of the space. 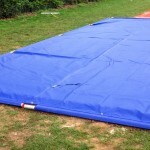 This can be ideal for educational institutions if there is not sufficient space for the standard 400m running circuit. Since the pupils may take part in various events, some might find a certain one which they like and would like to carry on in a professional sports centre. A major problem in existing sports provision is a scarcity of developmental facilities that are made for beginners and young people at the first stages of the athlete enhancement model. Many experts have recommended these athletics need to be made available to youngsters from as small as primary school Key Stage One up to Key Stage 4. A brand new athletics model has been created by UKA, allowing small children to gain access to athletics features. This provides a cost-effective, versatile, entry level option which uses eye-catching layouts and colours created to entice brand new individuals. For schools, compact athletics facilities can be built to meet nearly every site and spending budget, and let crucial sport skills to be taught and practised, enjoyed and bettered. These generally include features such as recreational jumping runways, small high jump fans and also perimeter running circuits. Wherever there is small space, we can reduce the dimensions and design of certain athletics facilities. Numerous customers can make use of a compact facility due to specifications being so flexible and unique. For many projects, present sports areas and playgrounds could be developed in educational institutions to create a much more diverse athletics provision. Children of every school key stage may benefit from personal growth while studying additional skills through the distinct sporting events. More children would be motivated to participate in the brand new sporting events if they have a high quality and attractive facility readily available for them to utilise. 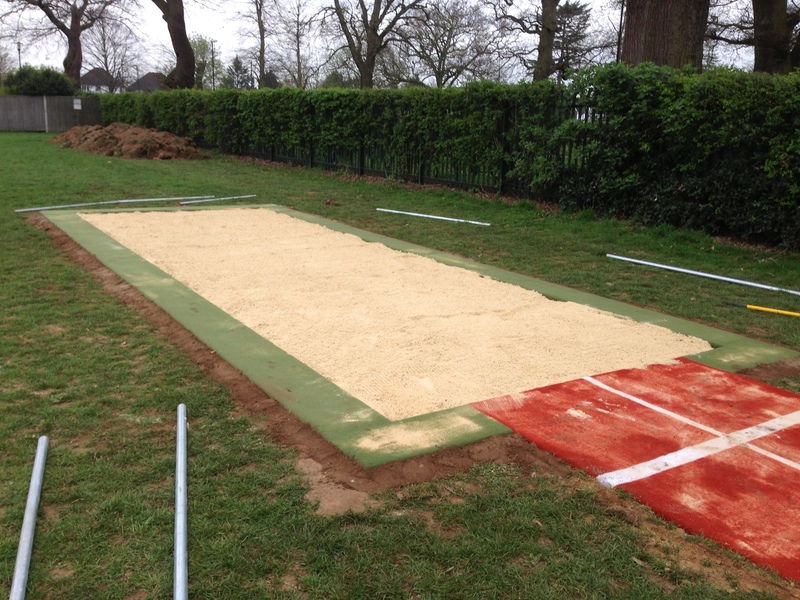 We also supply a range of long jump equipment including sand pit covers and rakes to help you make the area more efficient. Smaller sized facilities are a cost-effective alternative available to any type of school, college or athletics club. With regards to the FUNdamental skills of athletics, more children are in a position to learn and practise jogging, jumping and throwing by taking part in variety of activities. The creation of a broad network of compact sports and athletics facilities is a key part of UKA’s desire to capture the interest and need for the activity. This will be developed even more by holding IAAF and IPC World Championships within London in 2017. By permitting kids to use the compact facilities, there is a greater chance for sports athletes to better their abilities and transfer to professional clubs because of this. The Amateur Athletic Association is also known as AAA which is the original governing body for athletics and was around prior to UK Athletics. AAA is now more involved with the volunteering part of athletics and does not govern anymore. They operate in many organisations in Britain this includes schools along with sports centres. Contests are organised by the Amateur Athletic Association, along with open forums and other activities to help develop youngsters into sporting athletes. These kinds of challenges assist to develop kids for future athletics professions. Another responsibility that’s given to the Amateur Athletic Association is safeguarding the historical past of the long jump runway activity. The best athletes are often presented with valuable and historical medals and trophies by the AAA. Lots more people are getting interested in athletics because of this organisation and the work that they carry out. The AAA holds National Championships to increase the involvement in young people’s athletics. Athletic equipment and sponsorships are often financed by the Amateur Athletic Association, as they give cash to events such as the National Championships whenever possible. UKA and British Athletics are the governing authorities to this sport however the organisation is in charge of the volunteering sector. 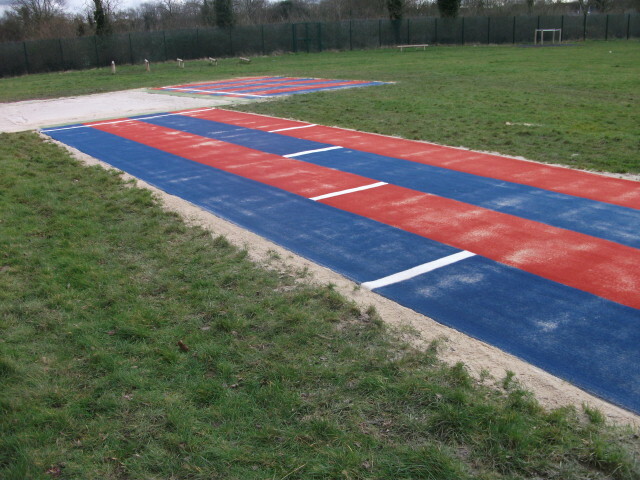 Their Standards Scheme is an acknowledgement of sports athletes grading them on distances or times with athletics events and using tracks such as these runways. 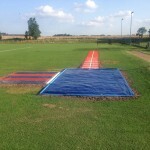 There are various requirements for various ages and also genders for each activity, which includes using a long jump runway. This is making the standards fair; these kinds of requirements fall into four unique grades in which athletes could be classified in. Overall performance requirements are decided by previous performances and databases that have gathered info through the years. These types of requirements are awarded to children with badges and also certificates. Plaques are also given out, by the Amateur Athletic Association, to young children who accomplish Grade 1 which boosts the number or individuals who get involved in athletics using a these facilities. Small grants or loans are available to youngsters wanting to take up a career in athletics by the AAA Charity for the Young. If you’d like to discuss the building, maintenance or other services in regards to the sport facilities, please get in touch with us. You can send us over your details through our contact form and we’ll get back to you with some product information and an idea of costs for the work. Our specialists will discuss every aspect of the work with you and try to make it as affordable as possible. 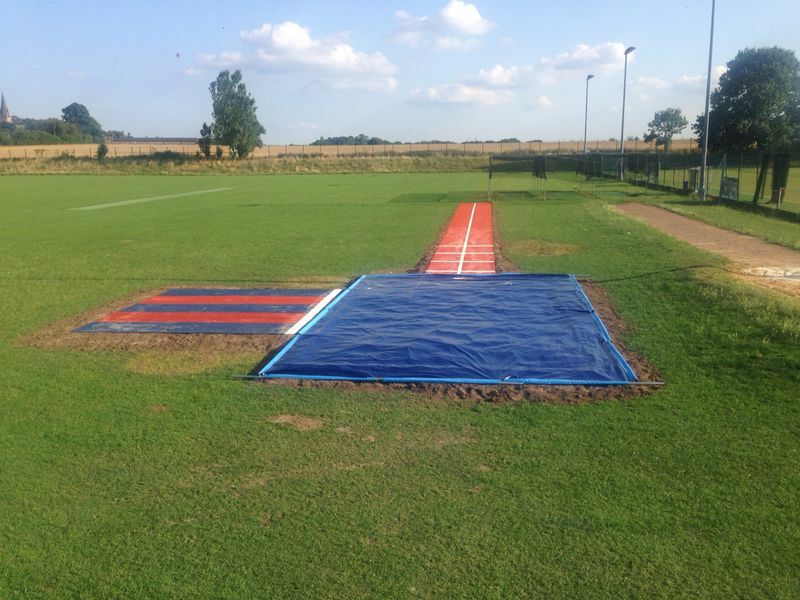 Through working in many schools and clubs through the UK, we have developed a wealth of experience in offering these long jump runway services. 1 What is a Long Jump Runway?